I fit into the “Possible” category. I rely on these benefits and can’t afford to miss anything in this process. 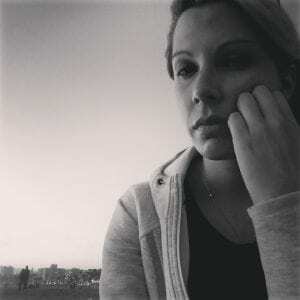 I spent countless hours gathering up all the information I had so there would be no doubt that my chronic migraine disease was still stopping me from being able to have a “regular” job or lead a “regular” life. Out of everything that was asked of me, I found answering this question to be the most important. “Describe what you do in a typical day.” But our days aren’t typical, are they? Here was my reply. I will illustrate how my days vary widely and without any warning. I make adjustments to my schedule throughout the day depending on the intensity of the symptoms which I experience daily on varying levels. These symptoms include head pain, aphasia, allodynia, fatigue, phonophobia, photophobia, impaired cognitive dysfunction, nausea, akathisia and visual aura. When I wake up around 9 or 10 am with a pain level 3-4, I know that this is the best I am going to feel all day. I am most productive for about an hour after waking up. I eat breakfast, usually yogurt and fruit. I take a handful of medication, both prescribed and over-the-counter, just to maintain a pain level that is tolerable. I try to get in some form of exercise every day after napping. That may be taking a 30-minute walk, going to a yoga class or going on a bike ride. After one of these activities, I usually shower for the day. On a good day, I am able to run some errands, which I usually break up throughout the week in order to not increase my pain. The grocery store and laundry are two tasks that generally wear me down. While eating healthy is part of my life, making dinner can be challenging. I spend little time making dinner and my partner often helps in making meals and with clean-up. I spend the evening watching TV, however, my pain increases and I become fidgety. With newly diagnosed Restless Leg Syndrome and Periodic Limb Movement Disorder, I find it very hard to sit still. Even with medications to manage the full-body, uncontrollable twitching and jerking movements, nighttime is very hard for me. The head pain generally spikes as well back up to a 7 or 8, making getting to sleep difficult. 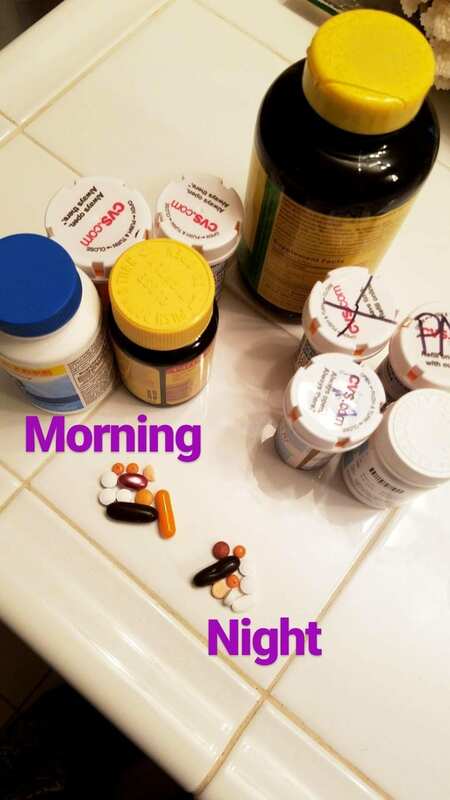 I take another handful of medication to prevent worsening migraine attacks and to control the symptoms for the next day. This is a low-pain/ functioning day for me. I try to stick to a normal sleep schedule so I wake up between 9 and 10 am. I eat breakfast depending on how nauseous Iam. On these days, leaving the house, driving and exercise are out of the question. It is rare that my symptoms improve throughout the day, they typically get worse even when using rescue medication. Some of the medications I take to cut down the pain and inflammation on high pain/debilitating days cause side effects that make me sleepy. That, coupled with the excruciating pain, cause me to spend the majority of the day in bed. I spend little time on the internet or watching TV. I use sleep as a coping mechanism. Even while sleeping, my body is tensed up to battle the pain. I curl into a ball to protect myself and often find fingernail marks in my palms because I’ve been clenching my fists while I was asleep. I also grind my teeth and need to wear a mouth guard. I spend 80% of my time in my apartment. The 20% that I try to venture out has to be carefully planned out. Will there be any noise, lighting, food or other triggers that will make the migraine attacks worse? I have to take medication before I leave and have all medications with me for any possible scenario when I leave the house. I need an exit strategy. Will I be able to lie down if the pain is suddenly unbearable? Do I have a way home if I feel I can’t drive? Will my impaired cognitive dysfunction cause me to become disoriented, forgetful, or lost? I always carry a notebook with me because I can easily forget my tasks or what people tell me. I build in extra time because any task now takes me twice as long to complete. I have a small radius (about 5 miles) around my house where I am comfortable going by myself. Anywhere outside of my comfort zone, I prefer to have someone with me no matter what my pain level is that day.